Many landlords automatically add a fresh coat of paint to their rentals between tenants. While new paint can certainly help freshen-up an apartment after a tenant moves out, there are several other inexpensive ways to make your rental unit more desirable to prospective tenants, too. The following five fast and affordable home improvements can spruce up the look of your rental home, without the need to hire a professional contractor. 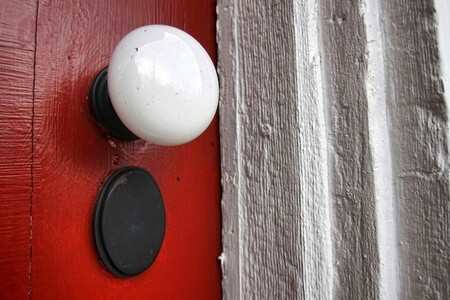 Shiny, new door hinges, knobs and drawer pulls can breathe new life into an aging rental unit. After several years’ worth of tenant turnover, these small pieces of hardware often end up covered in paint drips, tarnish and surface wear. Replacing your old hardware may seem insignificant before you do it, but you’ll be amazed by how much it improves the look of a vacant apartment. A dingy, stained floor can affect the look of an entire room. If your rental unit’s current flooring has visible flaws that detract from the unit’s appearance, new flooring may be a more viable option than you think. New vinyl flooring tiles are available with self-stick backing, eliminating the need to apply adhesive. Plus, depending on the current type of flooring material used in the rental unit, you may even be able to install the vinyl tiles over your existing floor. Adding a colorful backsplash to your rental home’s kitchen can dramatically improve the appearance of the entire room. Since many landlords use neutral colors in the kitchen to appeal to the greatest number of prospective tenants, a colorful backsplash is just enough to add personality to the room, without dominating it. Since you’re only applying tiles to the small backsplash area of the kitchen, your investment in materials is low and the job can be finished quickly. Even if your rental’s bathroom fixtures are older than you are, simple updates, like a new toilet seat or new faucet handles, can make them appear more modern. A shiny chrome shower head can vastly improve the appearance of an aging shower stall or bathtub, as well. If you can’t justify investing in modern fixtures right now because the current ones still function properly, try updating only the visible, removable parts. Crisp white mini blinds can provide a tidy, finished look to every room in your vacant rental unit. Also consider adding permanent curtain rod hardware above the windows to prevent tenants from pounding more nail holes into the window frames. Over time, a wood frame can become riddled with holes and damage from tenants haphazardly installing their own hardware. Installing hardware for window treatments can be a pain, so most prospective tenants will see fresh blinds and permanently installed hardware as a major bonus. These five easy and inexpensive ways to improve the look of your rental unit can be accomplished in a weekend or less, so they won’t cause your rental home to remain vacant any longer than necessary. In addition, they don’t require any special expertise beyond a quick web search or two for basic “how-to” instructions. Try one or more of them to spruce up your rental unit so you can attract the right tenant, even if you’re working with a limited budget.